The Central Oklahoma Chapter of the National Railway Historical Society originally began work on establishing a railway museum as early as the 1980's, but it wasn't until the late 90's that a business plan was developed that would eventually help to form the Oklahoma Railway Museum in Oklahoma City several years later. 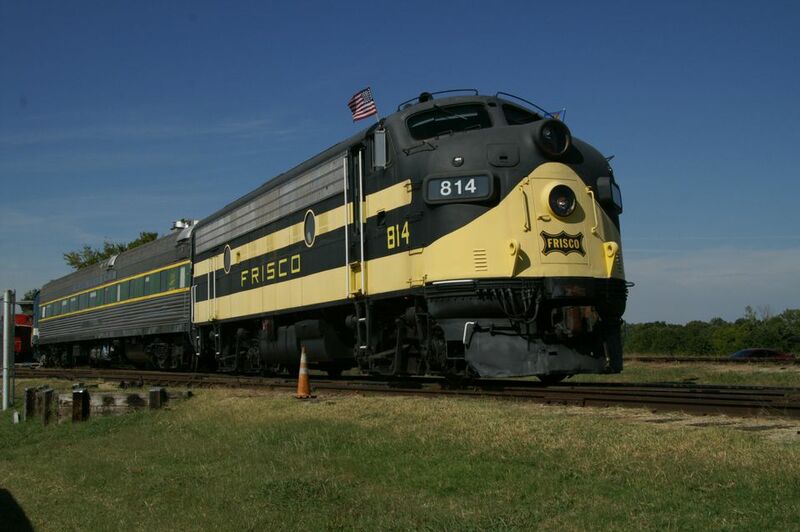 With multiple operating locomotives, the museum offers a unique educational attraction for the ​Oklahoma City metro area. Visitors can experience historical trains such as a real steam engine, ride a real passenger train and, at certain times of the year, have a "Day Out with Thomas the Tank Engine," the star of the popular children's series "Thomas & Friends." The Oklahoma Railway Museum is located just west of I-35, about a mile or so south of the OKC Zoo in the Adventure District, a popular attractions area of OKC. From I-35, take Exit 131 west to Grand Boulevard and go south. Admission to the Oklahoma Railway Museum is absolutely free. The Oklahoma Railway Museum is an outdoor attraction, so all operating hours are provided with the caveat that it may be closed due to inclement weather or when the temperature is below forty degrees. The museum is open from 9 a.m. to 4 p.m. every Thursday, Friday, and Saturday. See below for train-riding schedule. Tickets to ride the train are $12 for those 13 and older, $5 for those 3 to 12 years of age and free for kids under 3. Prices don't apply to special trains noted below. A 15-ton replica of Thomas the Tank Engine, the star of the popular children's series "Thomas & Friends," is featured each year in the early fall as part of the "Day Out with Thomas" tour. The event allows kids to take a 25-minute ride on Thomas, meet Controller of the Railway Sir Topham Hatt and participate in activities such as arts & crafts, storytelling, video viewing, model trains and more. Purchase online. See the September and October event calendars for information on this year's dates. Each year, the Oklahoma Railway Museum hosts both a Halloween Train and a Christmas Train. For dates, see the official site. Adults dressed up in costume for the Halloween Train get $2 off the ticket, normally priced $12 for those 15 and up. Tickets are only $5 for kids between the ages of 3 and 12, and free for those under 3. Check the site for current Christmas Train ticket prices. A unique venue indeed for a child's birthday party, the Oklahoma City Railway Museum features a 1921 wooden caboose, a train depot platform or other areas of the outdoor grounds. Two birthday packages are available, one that costs $250 and includes a train ride of up to 20 guests (available only on certain dates) or a $150 option without a train ride. Both include paper engineer hats and a rail safety coloring book. For more information, call (405) 850-0597 or email to chuck@oklahomarailwaymusem.org.